What is Device Control Center? Device Control Center is a platform that enables you to manage your Internet connected devices, all in one location. Protect, monitor, fix, and gather information from your smartphones, tablets, PC and Mac computers, as well as connected devices like Nest Thermostats and Fitbit fitness products. How do I activate and install Device Control Center to my device? After purchasing a device plan from CWSC you will receive an email with details on how to access the Device Control Center. To activate your New Account open the email and click the activation link. This will direct you to the Sign Up page. When visiting the Device Control Center for the first time you will need to create a user account on the Sign Up page. Android Phones - Go to the Google Play Store to download the mobile app for your device. iPhone/iPad - Go to the Apple Store to download the mobile app for your device. This will take you to the Download page. Click on the Green download link. Click YES in the User Account Control box to allow the program to download. The Device Control Center icon will appear on your desktop. Click on this icon to access the center at any time. Congratulations! Device Control Center is now installed on your device. How do I add new devices to my Device Control Center? Using your Device Control Center account credentials provided by Computer Warranty Services, simply Login and click the Add device button on the top left of the webpage. **Adding on a Mobile Device? Make sure to Download the Device Control Center app. : Android Phones - Go to the Google Play Store to download the mobile app for your device.iPhone/iPad - Go to the Apple Store to download the mobile app for your device. How do I edit or remove a device from my account? To Edit or Remove a device from your account Select the Device > Click the Paper/Pencil Tool > Make Changes > Remove or Save Changes. How do I remove the Device Control Center software from a device? On PC, go to Control Panel > Programs and Features > Uninstall a Program, and locate Device Control Center on the list. Double-click it to begin uninstallation. On a Mac first close Device Control Center by clicking the Device Control Center icon in the Menu bar and choosing Quit Mac Agent. Then go to your Applications folder and drag the Device Control Center folder to the Trash icon in your dock. On Android press and hold on the Device Control Center icon, then drag and drop it on the uninstall icon that appears. On iOS press and hold on the app icon until the X icon appears then tap the X to uninstall. What are reports and how do I use them? In order to create or edit a group, log in to your Device Control Center account from your PC or Mac web browser and click the Manage Groups button in the upper-right. On the Groups page you can use the Add Group button to create new groups or edit existing ones by dragging the devices and dropping them in Group boxes. One device can be in as many groups as you like. What can I do with the Device Control Center iOS App? The Device Control Center iOS App allows you to manage your iOS device remotely from any other device on your Device Control Center account. With it installed, you can run cloud backup, locate your device, run anti-theft protection features, generate reports, and more. You can also use the App to manage other devices on your Device Control Center account, and remotely access PCs, directly from your iOS device! How can I clear data from the Device Control Center mobile app? For iOS devices, you will need to delete the current install of the app by tapping and holding on the app icon, then tapping the X icon to uninstall. For Android, go to: Settings > Application Manager >Device Control Center Click on Clear Data then Click OK to confirm. The next time you sign in, you must specify the account and password. All of the settings for the app will go back to the default settings. Why does the Device Control Center app want so many permissions on my Android device? We ask permission to store your devices location, history, installed apps, calendar, contacts, SMS, call logs, Wi-Fi information, Bluetooth settings and device ID so they are available to you through your secure account at Terms Of Service Please see our Terms of Service for further information. What can I do with the Device Control Center Android App? The Device Control Center Android App allows you to manage your Android device remotely from any other device on your Device Control Center account. With it installed, you can run Anti-Virus scans, Cloud Backup, locate your device, run anti-theft protection features, generate reports, and more. You can also use the App to manage other devices on your Device Control Center account, and remotely access PCs, directly from your Android device! What phones and tablets are supported? All Android devices with running Android version 4.0 or higher and access to the Google Play Store are supported. For iPad and iPhone, any device running iOS 7.0 or newer is supported. How can I locate my missing phone/tablet using Device Control Center? Login to your Device Control Center dashboard, then click on the missing device which has Device Control Center installed on it.Click on the Locate tab to see a large Google map with your devices position highlighted. How can I protect my missing phone/tablet using Device Control Center? Sound Alarm: Sound a loud alarm to help locate the device. calendar, phone history, text messages, files and more. The Remote Access feature of Device Control Center allows you to securely access, control and share the screen of any PC that is associated with your Device Control Center account. How do I use Remote Access to connect to a PC on my account? From your Device Control Center dashboard, select the PC you would like to connect to.Then, select the Remote Access tab.Finally, click the Connect button to send the command to the remote computer that you would like to access it. Please note that the user of that PC will need to allow the connection unless they have previously agreed to accept all incoming connections. You can also remotely access any PC from your mobile app by selecting that PC from the Device list in the app (swipe left to right to display the Device List), and then tapping the Access button. How do I share my screen with others? Click on the Device Control Center system tray icon (in the lower-right by your Windows clock) and choose Share My Screen.You,ll get a pop-up with a link that you can share with the person who you,d like to view your screen. Next, they need to click on this link, which will allow them to send a request to view your screen.Accept this request and the connection will begin. Do others need to have Device Control Center installed in order to view my shared screen? No.All they need is a web browser and they can view your shared screen from a clickable link that Device Control Center will generate for you to share with them. Can I use Remote Access to view the screen of my Mac, Android, or iOS device? Not at this time.We are investigating the possibility of adding this functionality in the near future, but currently screen sharing is for Windows devices only.However, you can use Remote Access to access your Windows PC from any device with a web browser! What does the Tune-Up scan feature of Device Control Center do? How do I run a Tune-Up Scan? From your Device Control Center dashboard, select a Windows device, then click the Tune-Up tab. You can then select to scan all of your Windows devices, or pick a particular computer from the list and click Scan Now. What is the difference between the Quick and Full Tune-Up Scans? The Full Scan performs all of the Quick Scan options, as well as searching for and fixing disk fragmentation issues.Please allow for extra time when running the full scan, as disk defragmentation can be a time-consuming process. The scan found problems on my device! How do I see what they are? From your Device Control Center dashboard, select a Windows device, then click the Tune-Up tab.Click the down arrow next to the device on the list that was reporting problems.This will expand the list of scanned items so you can see which specific problems were recorded, and choose to fix or ignore them individually. Is it possible to schedule the Tune-Up scans and fixes so I dont have to log in to run them manually? Yes.On your Device Control Center dashboard, click on the Scheduling button in the upper right.Here you can set up automatic scans, fixes, or both for the Tune-Up tools, on a daily or weekly schedule at times of your choosing. What does the Anti-Virus feature of Device Control Center do? The Anti-Virus feature of Device Control Center is a single-subscription Anti-Virus solution for all Windows PCs, Android tablets, and Android phones associated with your Device Control Center account.Use the Anti-Virus tool to Scan and securely remove malware, viruses, and spyware, with easy one-click actions. The antivirus quarantine failed. What should I do next? Restart your computer or device and Device Control Center will attempt the quarantine again on the next startup. We recommend that you run the antivirus scan once more after this restart to be sure the item has been properly quarantined. The antivirus seems to be stuck doing an update after installing Device Control Center. The antivirus update does not have a progress bar, so it might appear to be locked up. After the initial install of Device Control Center, it has to download a large file of updates, which is over 100 MB and may take a few minutes on slower connections. Please give it time and it will finish. You can safely close the browser window and it will continue to download in the background. The Device Control Center app on my Android detected a threat. What do I do? In the app, tap on the Antivirus icon. It will list the threats it detected. Sometimes a legitimate app will be flagged as a possible threat. You can tell it to ignore that, and the app will be "whitelisted" so that it does not trigger a false positive again. How do I scan my PC for viruses and malware? From your Device Control Center dashboard, select the Anti-Virus tab. A list of all scannable devices on your Device Control Center account will appear.You can select to scan one machine from the list individually, or scan them all at once with the Scan All button. Is it possible to schedule Anti Virus scans so I dont have to log in to run them manually? Yes.On your Device Control Center dashboard, click on the Scheduling button in the upper right.Here you can set up automatic scans, fixes, or both for the Anti-Virus tool, on a daily or weekly schedule at times of your choosing. Is it possible to schedule Cloud Backup for my mobile devices so I do not have to log in to run it manually? Yes.On your Device Control Center dashboard, click on the Scheduling button in the upper right.Here you can set up automatic backup, on a daily or weekly schedule at times of your choosing. What items will Device Control Center cloud backup protect for me? On Android devices, Device Control Center will back up your contacts, call history, text messages and pictures to our secure server. On iOS Device Control Center currently backs up contacts and pictures. Backups from either platform can be viewed and managed from your Device Control Center web dashboard, or from the mobile app itself. 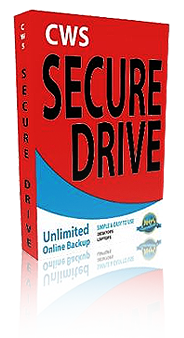 You can choose to backup a subset of these items if desired. On what platforms does Device Control Center offer cloud backup? 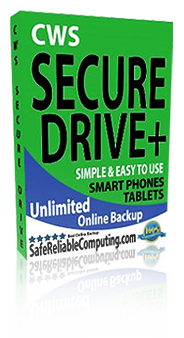 Currently cloud backup is available for iPhone, iPad, and Android phones and tablets. We are investigating the possibility of adding backup options for desktop/laptop Windows and Mac platforms in the future. How do I associate my Fitbit device with my Device Control Center Account? Once logged into your Device Control Center web Dashboard, click the Add Device button in the upper left.Choose the Fitbit tab and then click the Login to Fitbit Account button.You,ll be directed to the Fitbit website where you can login to your Fitbit account to link it to your Device Control Center account. What types of information can Device Control Center display and manage from my Fitbit device? Sensor data on number of steps taken by the user during activity and exercise. Sensor data on distance traveled from activity and exercise. Information on calories burned up through activity and exercise. Information on recent exercises and activities performed. Readings for user heart rate. What Nest Devices are supported by Device Control Center? How do I associate my Nest device with my Device Control Center Account? Once logged into your Device Control Center web Dashboard, click the Add Device button in the upper left. Choose the Nest tab and then click the Login to Nest Account button. You,ll be directed to the Nest website where you can login to your Nest account to link it to your Device Control Center account. What types of information and actions can Device Control Center display and manage from my Nest device? My device does not seem to be connecting to the Device Control Center server. It was working earlier. This is usually because our site went into maintenance mode. This maintenance is routine and usually lasts only a few minutes. During this time your devices are still protected. We apologize for the inconvenience. In the list of devices to the left of your Device Control Center dashboard, hover the mouse pointer over the device you would like to remove. Click the edit icon on the right side of the tile. A Remove Device button will be available on the window that appears. My device information is out of date, how do I fix this? The Device Control Center webpage should automatically update itself frequently. You can force a manual information refresh for a specific device by clicking the Refresh button in the Commands list on the right side of the webpage after selecting that device from the device list. Why does my PC show as Offline when I can otherwise access the Internet from it? Press Windows+R to open a Run dialog. Type services.msc and click OK to open the Services list. Locate the Device Control Center Cloud Agent Service on the list that appears, and select it. In the left panel of the Services list, click Restart the Service. Finally, click the Refresh button in the Commands list on the right side of the webpage to try to reestablish a connection with that PC.